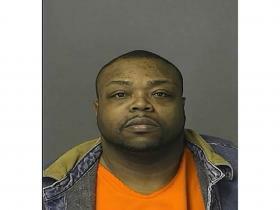 Attempted murder suspect Gary Jones, Jr.
Feb. 26, 2010 · 12:06 p.m. The man accused of shooting his son in the abdomen Tuesday was charged with attempted murder and remanded to the Washtenaw County Jail during his arraignment Thursday. Gary Jones, Jr., 42, was arrested without incident Tuesday afternoon, when Washtenaw County Sheriff's deputies responded to the intersection of Clark Road and Macarthur Boulevard for a shooting in Superior Township. Police discovered a 24-year-old Superior Township resident, Jones’ son, had been shot after a family altercation between the father and son grew violent. The victim was transported to St. Joseph Mercy Hospital, where he is in stable condition. Jones was arrested at the scene. A pre-trial has been scheduled for March 9.